The Armen Living Nofi contemporary outdoor patio set is the perfect purchase for outdoor dining and large social gatherings by the pool. 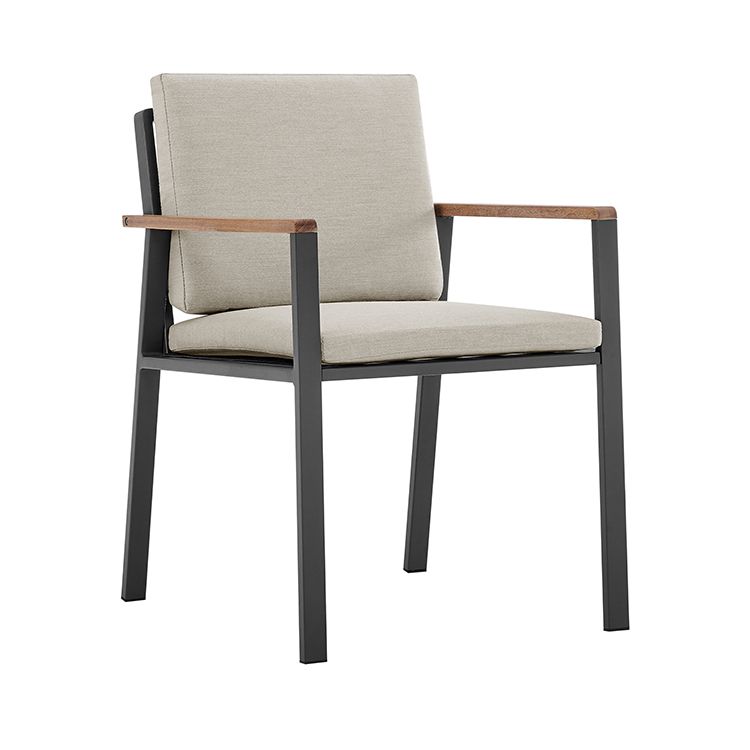 Featuring 8 stylish dining chairs and 1 large dining table, the Nofi set provides an ideal blend of comfort and aesthetic pleasure. All included pieces are made of lightweight yet sturdy aluminum, allowing for easy transportation without compromising on style or comfort. 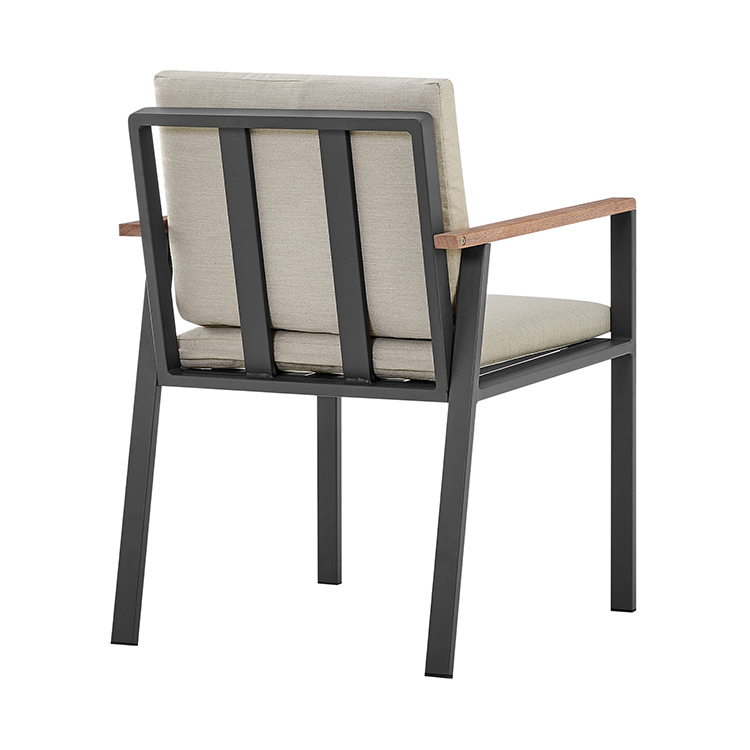 The Nofi chairs feature water, chemical, fade resistant, and foam padded olefin upholstery as well as teak arm accents. 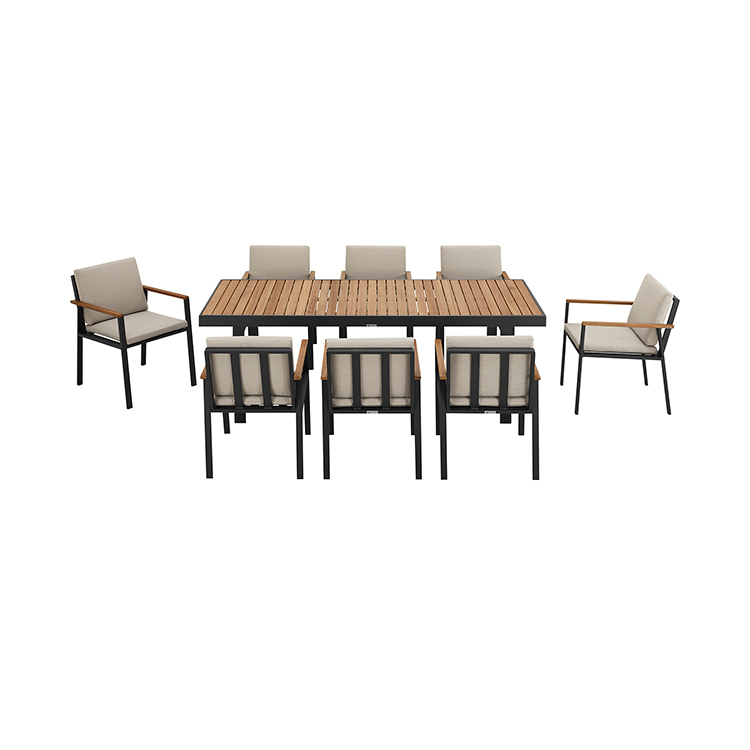 The Nofi table features a beautifully paneled teak wood top, complementing the chairs perfectly. 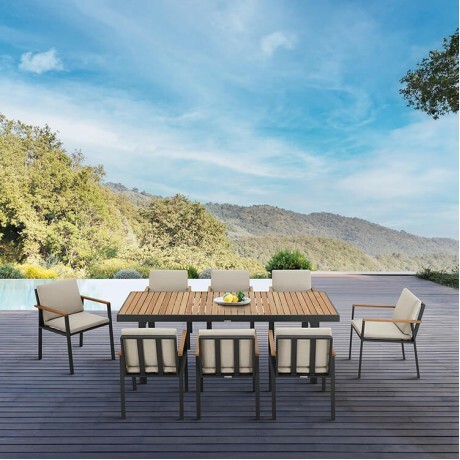 The Nofi outdoor patio set is an excellent choice and seats up to 8 people.